The modular design of the structure allows you to increase the space as much as you like and adapt it for individual and community residential purposes. We collaborate with exceptional designers to offer fully customizable interiors and furniture for your home. 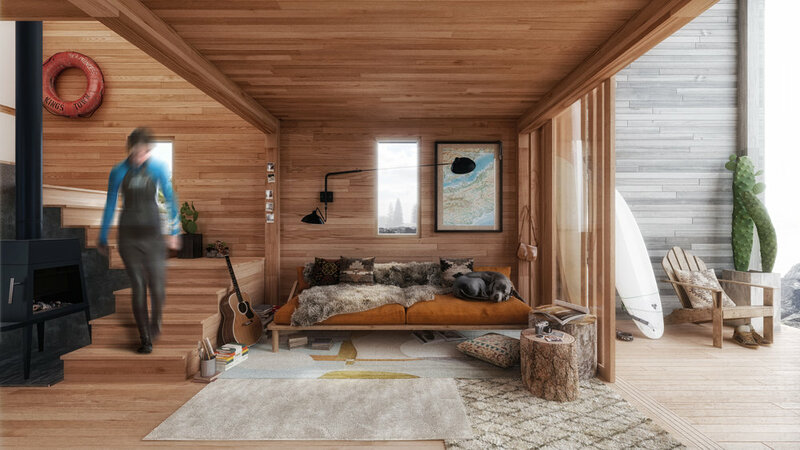 We have three modular kits, The Alpine Hut, The Great Lakes Cabin and The Surf Hut. The modular design of the structures allow you to incrementally scale up the floor area as required. The base model measures 206 square feet (i.e. studio loft which sleeps 2-4 people), with an exterior a covered entrance. 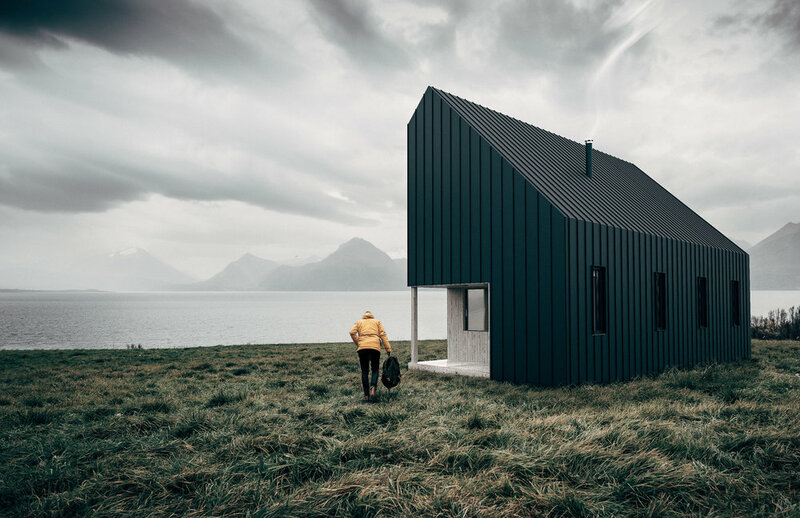 The Hut System is designed for a more accessible construction of temporary or full-time residence and operation in remote areas, with the idea that it is easy to assemble through a collective 'barn-raising' process. The Hut System can serve different purposes: you can set it up as a backcountry hut for outdoor groups or you can use it as a front-country hut for personal usage. The basic shell consists of 4 posts, 4 beams and a roof. We collaborate with exceptional designers to offer fully customizable interiors and furniture for your project. 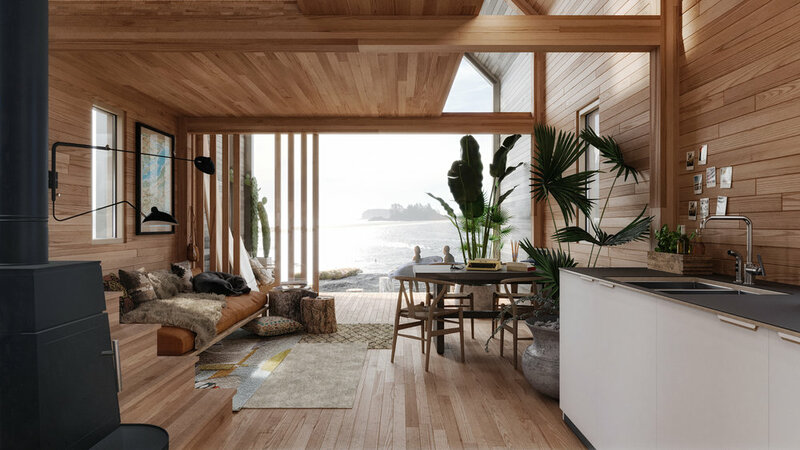 Environmentally sensitive products are used for all materials such as: engineered wood products, FSC certified lumber, 100% recyclable components. The Backcountry Hut company adopts a zero-waste philosophy in its design and implementation of its products. The Backcountry Hut Company has been honored with the 2016 Canadian Architect Award of Excellence. "This project is beautifully done. It’s careful about its openings and its allocation of solidity and enclosure, but you don’t get a sense of claustrophobia. The modules combine to make very handsome structures that are beautifully illustrated in the presentation."